When it comes to skincare, I am a creature of habit. I like to think that I fully understand my skin type, so I have products that suit that and help me to keep it under control. Seaweed for my oily T-zone and tea tree for my hormonal chin spots. Recently though, that's all been forgotten about. In January, I developed a couple of dry patches on my forehead and my right cheek, which I put down to stress. I was going through a lot of changes in my work life, so I just figured that that's where they'd come from. I managed to get my cheek sorted out, but my forehead just wouldn't get any better. When I changed jobs and started working in a kitchen, it only got worse (I think it's down to the heat from the ovens)! 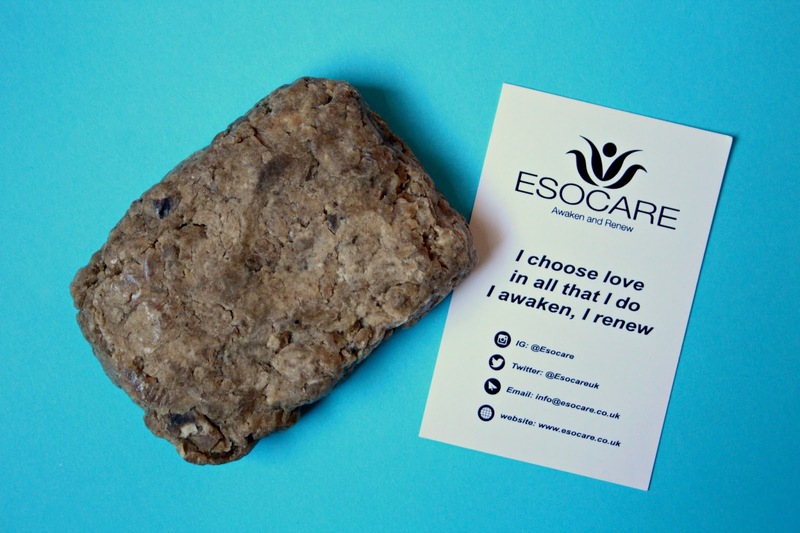 I was desperate to try something new and natural to help soothe my skin, and that's when I stumbled across Esocare. I discovered that Luna, the wonderful owner of the shop, was looking for bloggers to try out and talk about their products, so I just had to drop her an email. I'd had a good hunt on the website and taken each of the products into consideration. 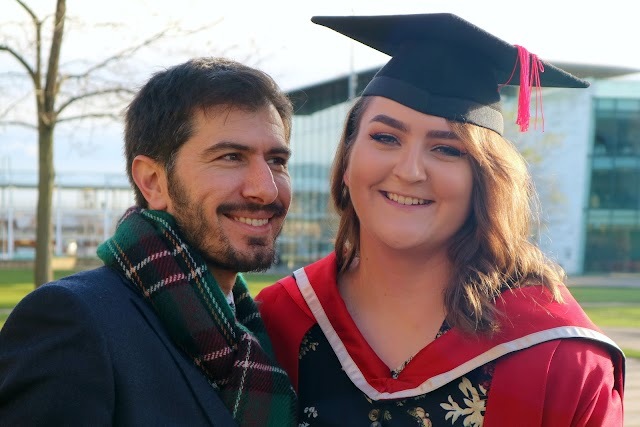 I'd also read Luna's story, which was just so inspiring - I'm someone that is quite afraid of change, but after reading her story, I feel so much more confident. I found the product that I thought would be perfect for me and a couple of weeks later, I was holding it in my hands. 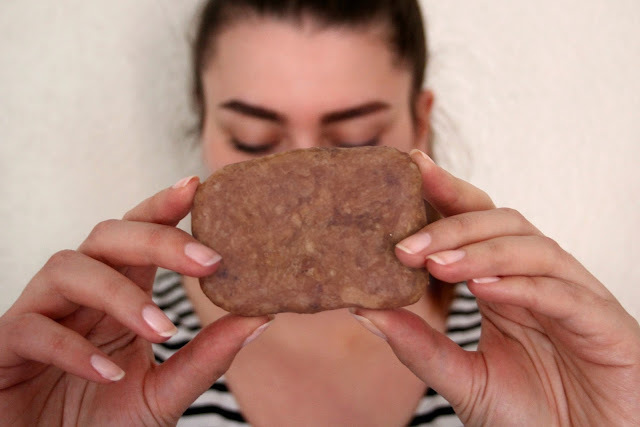 I'd gone for the African Raw Black Soap* (£7.50) and I just couldn't wait to start using it! I had no idea what to expect when I opened the beautifully wrapped soap, but this is what the product looks like. 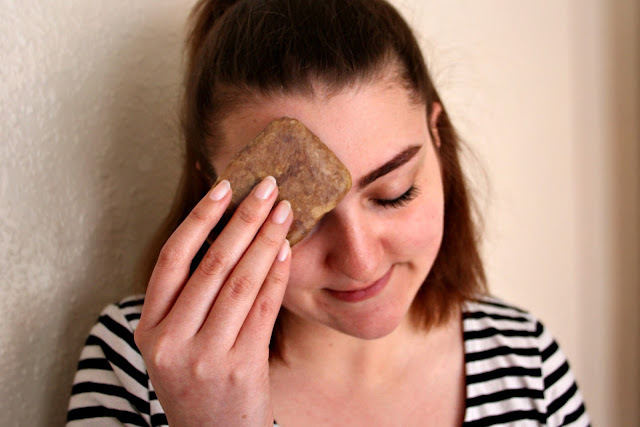 I know, it's not the most beautiful thing in the world, but we are so used to those perfectly sculpted soaps in Lush and the soaps that are injected with nasty chemicals from many other high street brands, so this is definitely a 'don't judge a book by its cover' situation. It gets its deep colour from the sun-dried and roasted plantain, cocoa pods, palm tree leaves and shea tree bark. As you can see, it has a natural, rough sort of texture, but trust me, it's actually ridiculously smooth to touch with your fingertips and has a slightly oily film over it. This is due to the inclusion of coconut oil, palm oil and shea butter, so you know your skin is getting some great moisturisation when using it. With all these great things included, you all must be wondering about how it smells! It's actually pretty odourless. I find it has a slight earthy scent, but it doesn't linger or cause any irritation that perfumed products might. But what's the best thing about this soap? 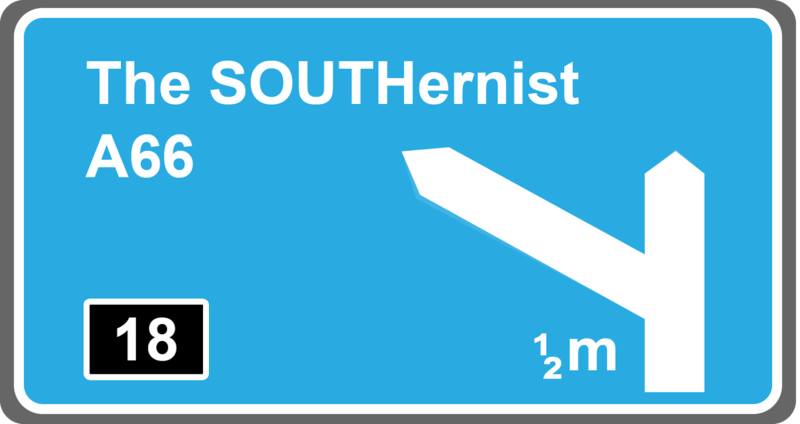 It's the fact that you can use it almost anywhere on your body, for almost any problem. Got a flaky scalp? This soap can be used in your hair. Razor bumps? The black soap has you covered. Eczema on your body? Yup, the soap can help. A dry forehead from working in a kitchen combined with stress? This soap is totally fine to use on your face, and that's exactly what I did with it. It's designed to exfoliate really gently to help heal problem skin, which is what sold it to me! Combined with those skin-quenching ingredients, I knew that my face was in for a treat. I usually start by splashing my face with water that's as hot as I can take. As I'm a bit of a wimp, it's probably not that hot! I then take the soap and rub it in small circles all over my face, paying particular attention to my forehead. Once I feel like I've got a good covering of soap on my face, I'll use my fingers to massage it in further, before rinsing it off. What I've found is that it doesn't lather up too much, which I kind of love because I believe that the lather in most soaps comes from the unnatural chemicals that are added, so the lack of crazy foam is a good thing! It also makes the soap really simple to wash off, as you don't get a chain reaction from adding more water to the lather and rubbing your face. It cleans off with ease, but sometimes, I use a cellulose sponge, just to be sure that I've removed it all. I pat my face dry and my face is left squeaky clean. It doesn't have an oily residue or any irritation - it just feels fresh! The soap also comes with an affirmation that Luna recommends you speak as you use the product to help further the effects. I used this soap twice a day, so saying "I choose love in all I do. I awaken, I renew" was the perfect boost to start and end the day positively. I've found that as I rub the soap on my face, there's a slightly gritty texture that gently buffs away any of the dead skin. This, combined with the added butters and oils, has totally removed the dry skin from my forehead whilst moisturising at the same time. I was also quite worried about how my oily T-zone would react to more oils being added, but it's been perfectly fine. I'd even go as far as to say that the soap is actually helping to reduce my oils! I've definitely noticed a significant improvement in how much is produced throughout the day, which is a bonus that I really didn't expect. After using this for only less than a week, my dry skin was completely gone. I'd tried so many products before to try and fix it, but all it took was this amazing soap. It's not your every day, pretty soap, but the results speak for themselves. It's ideal for natural beauty and skincare lovers, or people that have a skin issue that needs tackling. It's also organic and vegan friendly, which are always good things. My boyfriend was so impressed with how much it cleared my skin up that he's started using it on his feet. There's nothing better than a multi-purpose product! 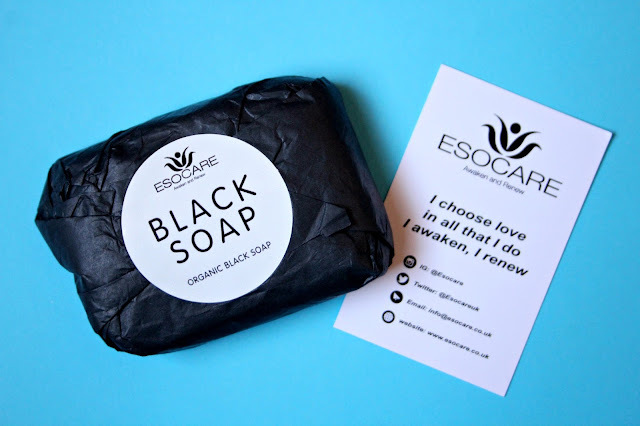 I 100% recommend checking out Esocare, even if you aren't interested in the soap. Luna also sells completely natural coconut oil and shea butter, both of which are great for your skin and hair. You can check out the company's Twitter and Instagram for beautiful images and inspiring words. You won't be disappointed!